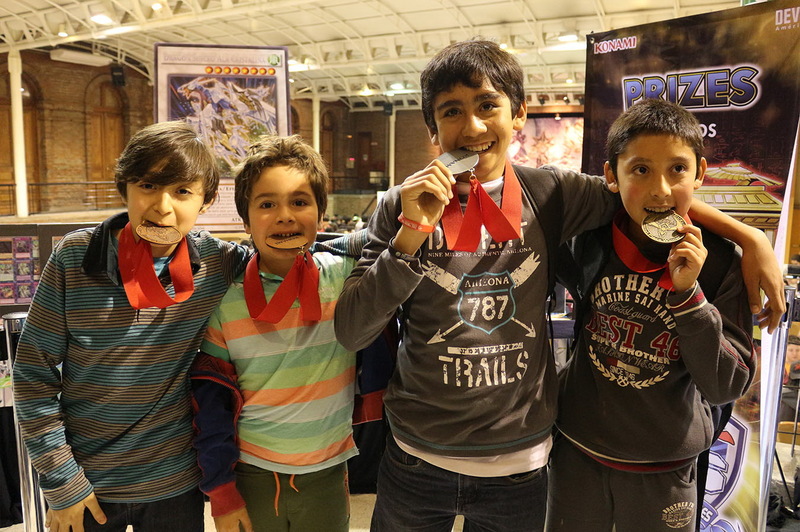 Here are the winners of Sunday’s Dragon Duel Tournament from YCS – Santiago! From left in first place, Erasmo Cordero, in second is Fernando Arriagada, in third, Agustin Aguirre, and in fourth Alejandro Acosta. Well done to you all! Dragon Duel Photo Gallery! QQ: What’s your favorite Side Deck card?